Gate intercom installation is a great investment! It's the best way to achieve maximum security, provide and deny access to visitors, and have immediate access yourself. 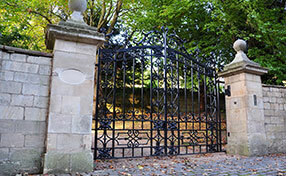 Rest assured that “Gate Repair Newhall” is very experienced with these systems and surely of great assistance when you need to select a new one, installation or repair. Every Intercom System is particular in terms of what it provides, its capacities, and way it operates. Each property is also unique. Some buildings have hundreds of tenants, some facilities have different visitors walking in every single second and some homeowners have a few family members but they also need different access codes for friends, relatives, the postman and the milkman. Before we program intercom systems, we take these factors under consideration. This way, we can recommend the best and most appropriate solutions for you and rest assured that there are numerous intercoms to cover all needs. 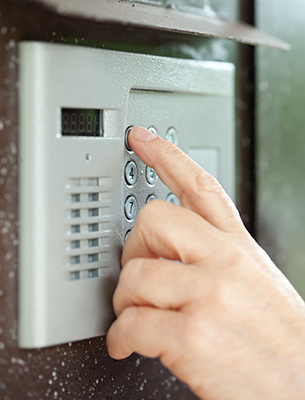 Our experts in Doorking intercom systems will install your new system at your convenience. We do have access to the best products of the largest companies and are definitely experts in their installation. Aiphone and Linear intercom systems will be programmed at the same time they are installed. Our technicians have many years in the field and have expertise in gate repair, the needs of each system and what's best for each gate. We can protect you from getting an Intercom System, which is unsuitable to your own needs and does not cover them fully. Of course, we have outstanding and long training in these systems and specialize in their services. 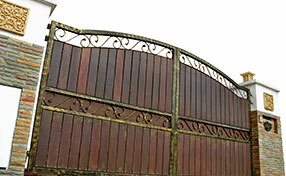 All repairmen of Gate Repair Newhall are fast and respond quickly to your emergency problems. We definitely offer intercom repair services regardless of the brand, the complexity and the type of the gate. We are consistent, punctual to our appointments, offer same day services and our expertise is certainly the guarantee of our good, professional work. If you have further questions, don't hesitate to contact our contractors today!